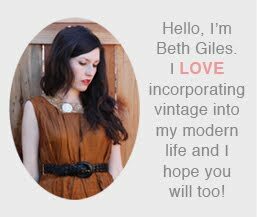 Vintage Clothing Blog | Vintage Wedding Dresses | Salvage Life: Barbie or Lady Gaga? Yesterday was eventful for the Giles family. Ruby had her first day of preschool and she did pretty well. I was able to get a lot of work done including photographing a lot of new items for the shop, yippee! After Ruby woke up from her nap, we carved a pumpkin and got dressed up. When I asked Ruby earlier in the month what she wanted to be she immediately said "a pink cupcake!" 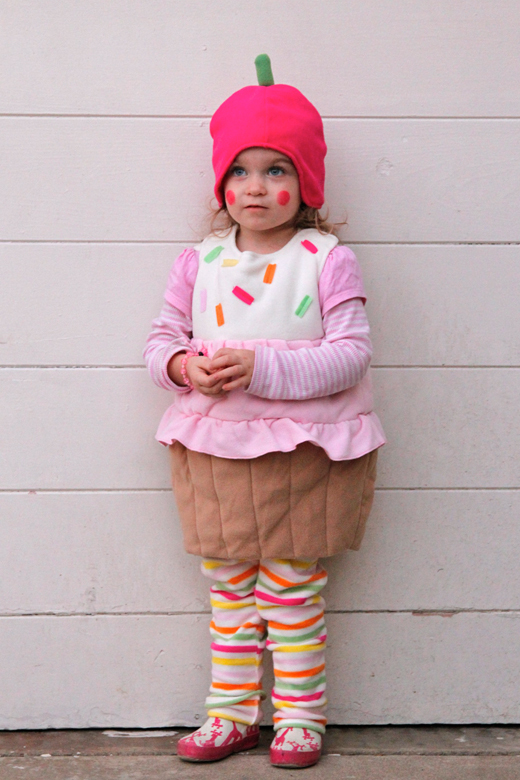 I was a bit nervous about how I might make a cupcake costume until a friend told me they had one at Old Navy. What are the chances?!! She looked darling and she was so excited about her costume all night. 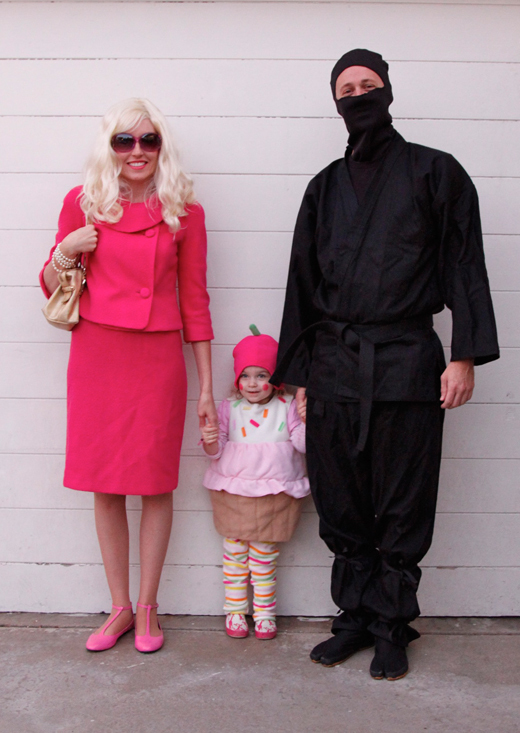 I, on the other hand, was not quite as successful with my costume. I have been wanting to dress as my favorite movie character for many years now, but could never quite get all the pieces together. Remember when Reese Witherspoon played endearing, confident, law student Elle Woods in Legally Blonde back in 2001? It later became a musical, which is excellent, by the way. 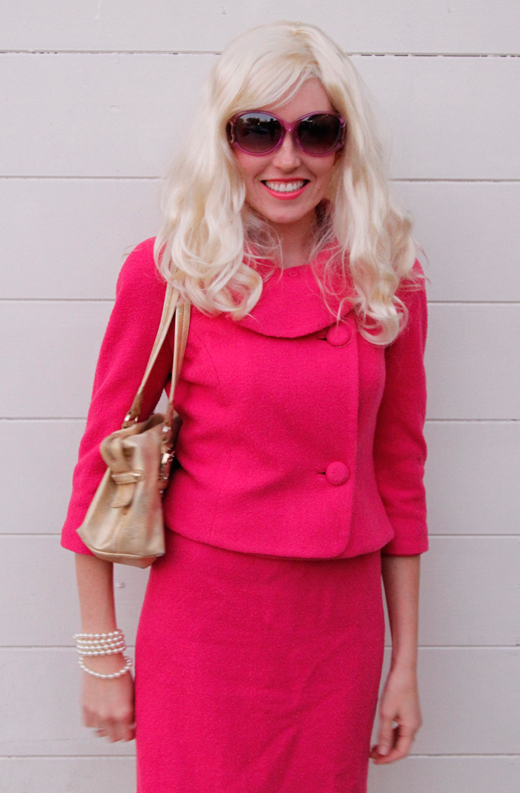 Anyway, there were about 4 people all night that knew who I was, most thought I was Barbie or Lady Gaga! I guess I should have borrowed a chiwawa for the night, oh well. 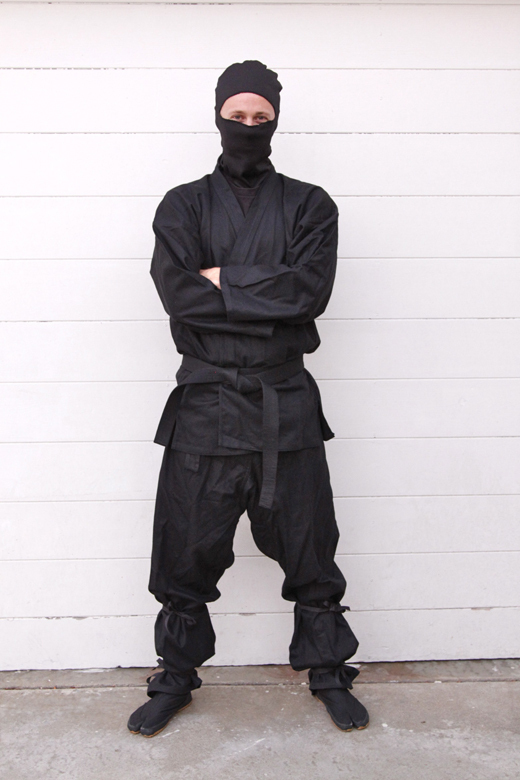 Jeff was a ninja, which was a nice contrast to our exploding pink outfits. It was a fun night, watching Ruby say "twick or tweat" and reminiscing about all the fun Halloween's we had as kids. Very fun. Cute little cupcake. How timely, huh, to have that costume. Yay! Glad you had a good day. Gotta come to your store again. Will soon, I hope.